Today, most people are not enamoured with the idea of predestination, with people not prepared to believe that they are not in control of their own lives. In Ancient Greece though, the idea of fate and destiny were widely recognized, and was even personified, for there were three goddesses collectively known as the Moirai, or Fates, who controlled everything that happened in a person’s life. The Moirai were widely considered to be the children of Nyx, the Greek goddess of the Night, and Hesiod in the Theogony does record this parentage. Confusingly though, Hesiod would also name the female Fates as the daughters of Zeus and Themis, these two deities being closely order with justice and the natural order of things. Occasionally other writers in antiquity, named the Fates, or Moirai, as the children of the goddess Chaos, Oceanus and Gaia (Earth), Ananke (Inevitability) and/or Erebus (Darkness) and Nyx. 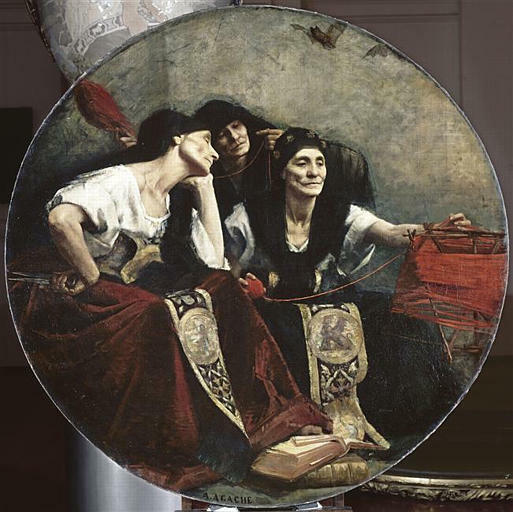 Most sources would tell of three Moirai, and indeed the grouping of three was a popular concept in Greek mythology, including the likes of the Graeae and Sirens. 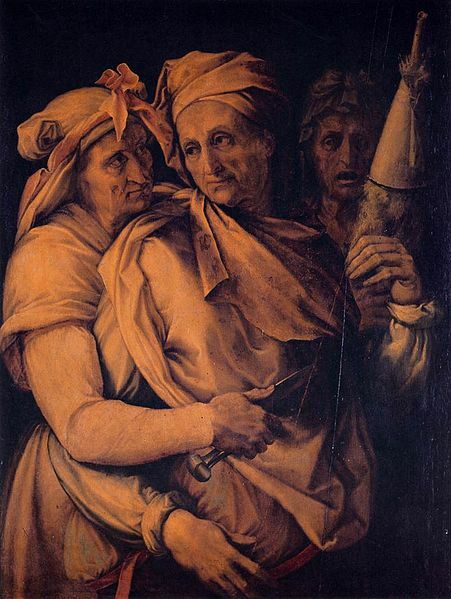 The Moirai were depicted, like the Graeae, as elderly women, and were named as Clotho, Lachesis and Atropos. Clotho was said to spin the thread of life, Lachesis would decide on how long this thread of life would be, and Atropos, would cut the thread to bring the life to an end. Thus the Moirai can be perceived as both Greek goddesses of birth, but also goddesses of death. This spun thread of life would be the life destined to be led by the mortal, and no one could interfere with it, even other gods; and anyone foolish enough to try and change the thread of life would be pursued by the Erinyes (the Furies). 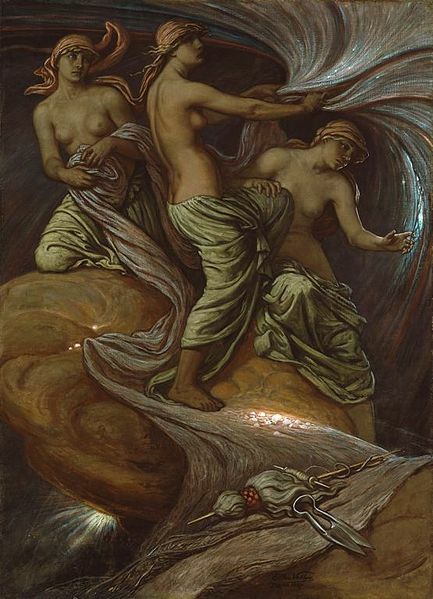 In stories from Ancient Greece, the Moirai were thought to be aligned with the wishes of Zeus, indeed the supreme god was given the title of Zeus Moiragetes (leader of the Fates), suggesting that Zeus could guide the Moirai in their plans. The alliance of the Moirai and Zeus was an early one in Greek mythology, for the Fates was said to have fought alongside Zeus during the Gigantomachy (the war of the giants). Zeus would also listen to the prophecies made by the Moirai, and in some sources it was the Fates who warned that the children of Metis and Thetis would be more powerful than their father. This caused Zeus to swallow Metis, and also saw Thetis married off to Peleus before she could have the son of an Olympian god. Hera, the wife of Zeus, is also seen to have had some influence, or at least a friendly relationship with the Moirai, for in the story of the birth of Heracles, Hera gets the Moirai to delay the birth of the son of Zeus, so that Eurystheus could ultimately become the king of Tiryns. Apollo, the son of Zeus, was also on friendly terms with the Moirai, for he convinced the Moirai, possibly with the help of alcohol, to allow Admetus to dodge his appointment with death if someone took his place. Moirai were convinced to allow Chiron to give up his immortality to relieve him of his pain. Zeus also asked favours of the Moirai, but he also allowed them to have their own way. When Pelops was killed by his father Tantalus, Zeus spoke to the Moirai who agreed that Pelops could be restored to life. Equally though, when Sarpedon, another son of Zeus, was due to die during the Trojan War, Sarpedon allowed his son to meet his fate. Of course if everything is predestined, then it would mean that the Moirai had already foreseen the intervention of the gods, and had been planned for. The idea of the Moirai though does sit at odds with another important element of Greek mythology, the judgment of the dead in the Underworld. If everything was predestined then those being judged had no choice in the way their lives had been led.